Cricket is much more than a sport in India. It’s a national obsession which we have fallen for hook, line and sinker. But most of the conversations revolving around the popular game feature the ‘Men In Blue’. So today Royal Challenge is asking, what about the ‘Women In Blue’? Why are women in cricket not celebrated and respected just as much as the men? The honest reality is that there are many cultural and social barriers women face while entering the field. In addition, there is also the issue of inequality in income. The best performers in the Indian men’s cricket team are paid Rs.7 crore while their female counterparts take home only Rs. 50 lakh. 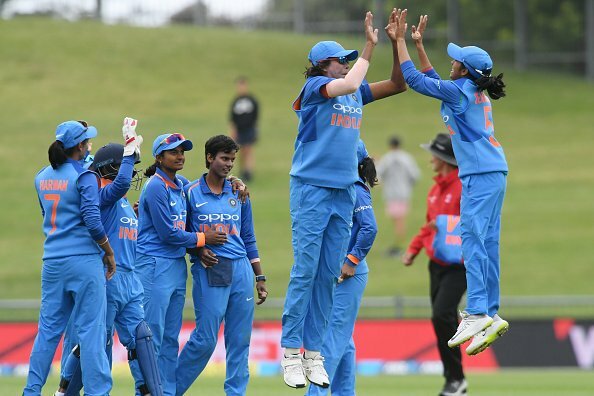 In the updated ODI Women’s rankings as of March 2019, the No.1 spots for both batting and bowling have been bagged by players from India. Sadly though, this talent is not always talked about primarily because not all their matches are televised. It was only in 2018 that all 23 matches of the Women’s World T20 were broadcasted live. With their brilliant campaign #ChallengeAccepted, Royal Challenge seeks to support men and women as equals in cricket, thereby changing mindsets when it comes to sports in the country! We're a generation that challenges the game. Pushing for shifts for a better tomorrow. Playing for bigger stakes on and off the field. So as cricket season hits the nation, let’s lend our voice to better the game. To bridge the gap between men’s and women’s cricket, Royal Challenge is also organising India’s first ever mixed-gender match with the best male and female players in the country. The achievements of our female players speak for themselves. For example, Gargi Banerji is the youngest debutant for India in international cricket. Skipper Mithali Raj has over 6600 runs to her name. Her 19-year career is the longest ever among all female players. Even if you were to include the men she’d take the No. 4 spot in the world. Since inception, the Indian women’s team has played 263 ODIs and Mithali was in 200 of them! It is high time everyone woke up to the fact that women cricketers can hold their own against the men, don’t you think? Needless to say, this mixed-gender T20 match has everyone quite excited! Great Idea! "aa dekhein zara.. Kisme kitna hai dum 💪😀💪"
Now it’s time for you to say #ChallengeAccepted and take the first step towards leveling the playing field in cricket by voting for the first-ever mixed gender T20 match at https://t.co/9srqG3AbGZ. So, if you are as excited as we are about the mixed-gender match and want to do your bit to promote equality in sports, go to www.rcchallengeaccepted.com and vote for this historic match! Let’s say #ChallengeAccepted and better the game for a brighter tomorrow.